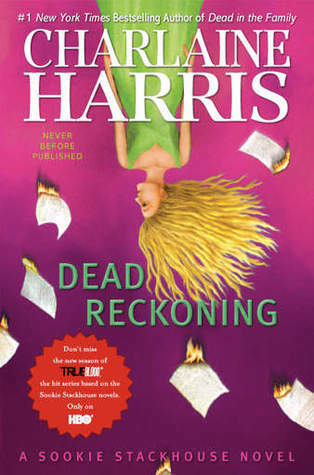 It has been a while since the last book of Sookie Stackhouse. I was so happy when Kindle deliver the ebook to my iPhone. I read cover to cover of this book in less than 6 hours. It was good but not great. The book is set as a foundation for the next book and therefore, the ending left me wanting more. The book started with Merlott’s being firebombed, high tension between Eric and Pam and Eric wanting to get out of Victor’s reign. Sandra Pelt was trying to get revenge on Sookie for killing Debbie. Pam was trying to make her first child but disapproved by Victor. With so many threats going, Sookie successfully planned Victor’s assassination with Bill’s and Bubba’s help, she was able to hang out with Hunter for his kindergarten tour and straightened out a teacher. A crack started to appear in Sookie and Eric’s relationship. Appius made an arranged marriage for Eric with the queen of Oklahoma. Pam and Eric hasn’t been on speaking term because Eric has been keeping that secret away from Sookie but Pam, being a friend to Sookie, wanted Eric to tell. Sookie eventually broke the blood bond with Eric with Amelia’s help in order for her to be able to tell if she is really in love with Eric. Alcide made a surprise appearance after finding out the blood bond break but eventually got turned down by Sookie. Bill broke up with Judith (or rather Judith broke up with Bill because he was still in love with Sookie). I have always like Eric (probably due to True Blood) but I am starting to feel for Bill. He is truly in love with Sookie and would totally sacrifice for Sookie if necessary. I don’t think I can see this happening with Eric. The book has more details on Sookie’s family background and introduced a priceless family heirloom, Cluviel Dor, left for Sookie by Fintan, her grandfather. Sookie questioned Dermot and Claude’s intention for living with her. There are so many questions unanswered in the book. Will Eric manage to get out of the arranged marriage or does he want to? What would Sookie do with Cluviel Dor? I can’t wait for the next book.